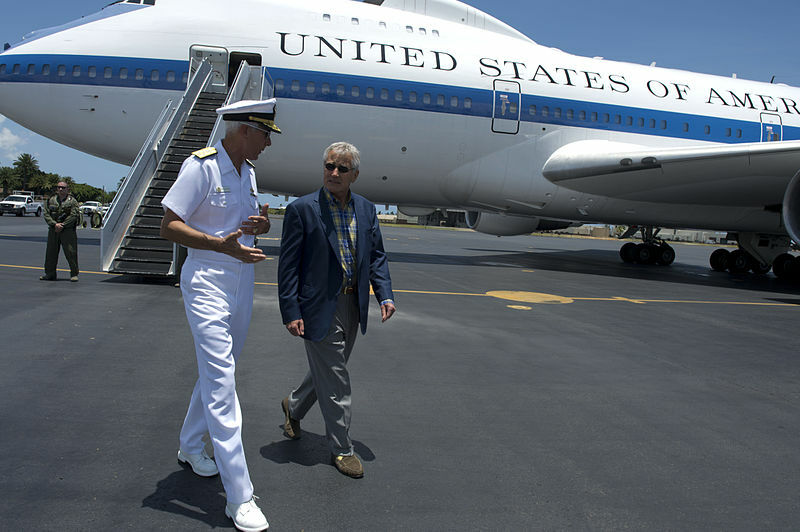 About a year ago, the Commander of U.S. Pacific Command, Admiral Samuel J. Locklear III, identified climate change as the biggest long-term security threat in the Pacific region. He defended that assertion during Senate testimony soon after those comments were made. And just yesterday, Admiral Locklear stood by his assessment during a conversation with the Atlantic Council’s Barry Pavel. We’ve included a transcript of those sections of the discussion including climate change below (we’ve underlined some phrases for emphasis), but encourage people to watch the whole video for a fascinating look at how the USPACOM Commander sees his role in the wake of the recently-released QDR, the so-called Asia-Pacific rebalance, budget pressures, and the reemergence of security threats in Europe. Barry Pavel: [Adding to the previous question] Working with the Chinese military to better respond to the effects of climate change, which is largely humanitarian relief and disaster assistance? Admiral Locklear: Well, we do that already. We have probably several forums this year where we operated with the Chinese, alongside the Chinese in multinational forums, where we did those types of activities together. So this is not something new for the US and the PLA Navy, in particular. Unnamed audience member: How has it affected you now that climate change is part of the strategic economic dialogue, which is at the very highest level of the United States and China? How does that directly impact your [inaudible]? Admiral Locklear: Well, the strategic economic dialogue – each year I get invited to participate. We have a security dialogue with the Chinese at the same time, generally. So we’ll have a day of discussions about security challenges, and then we go into the economic dialogue. Which we’ll then talk through these broader issues of things like contributions to climate change and those kinds of things. So they’re all kind of interconnected in the dialogue. So that’s happening. By Caitlin Werrell and Francesco Femia in climate and security on March 7, 2014 .